People who are involved in addiction recovery need to focus on a number of different aspects of their health in order to feel stable in their sobriety. Even though mental health is an important focus in addiction treatment, physical health can be equally as crucial to a person’s ability to recover. Exercise can be a key element in helping recovering addicts maintain good health in order to prevent relapse. Physical health can be closely linked to a person’s mood, energy and other aspects of their well-being that could have an influence on their cravings. When a patient in addiction rehab has more stable moods, feels healthier and is more energetic they are more likely to feel stronger in their sobriety. The ups and downs that a person experiences with a poor diet and lack of exercise can contribute to triggers and the possibility of relapse. Eating healthy food and getting enough exercise is often a primary focus in addiction treatment centers alongside therapy and support groups. Good nutrition helps improve depression and cravings and exercise can increase endorphins which help patients feel better overall. 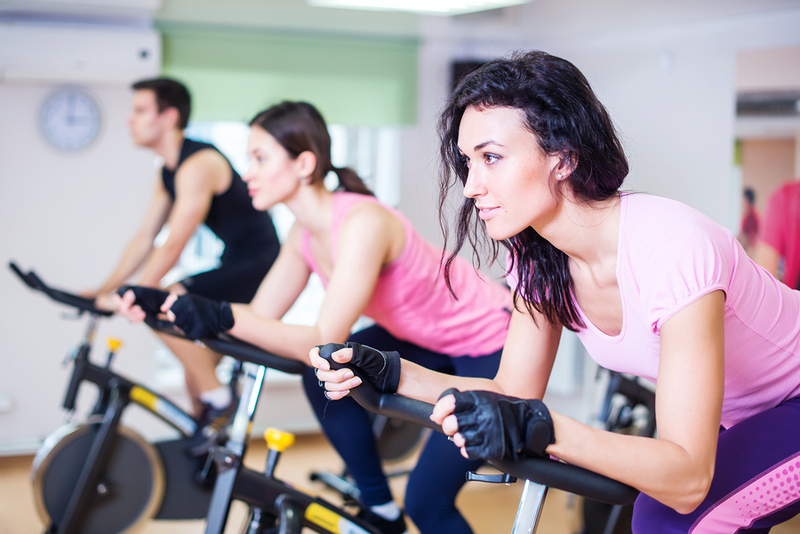 Making sure to fit in plenty of exercise is essential to creating an effective sober routine. There are a number of different reasons why exercise can be helpful for people who need to work on their sobriety. One aspect of exercising is that it can be useful as an activity or hobby to help fill up a person’s schedule. Regular exercise is a way for people in recovery to stay productive, focused on goals and alleviate boredom. People in recovery can find different types of exercise that they find enjoyable such as sports, running, yoga, swimming or other activities they feel connected to. Exercise can act as a type of hobby for people in recovery that need to avoid having too much down time. Incorporating exercise as a part of every day or every other day helps them keep a regular routine. Exercise can also be effective at helping people reduce stress because it can burn off excess energy and promote better sleep. It can help balance a person’s circadian rhythm which may have been significantly disrupted by their drug abuse. People who exercise tend to experience deeper and more restful sleep which can be great for their physical and mental health. Getting regular exercise is known to help prevent and minimize the experience of mood swings. People in recovery often have a lot of emotional ups and downs as they attempt to cope with the changes they are going through in becoming sober. Exercise has been proven to help people stabilize their moods and even cope with their feelings in a healthier way. Another benefit of exercise can come from the feeling of self-confidence that people feel in knowing that they are taking care of themselves and their bodies. Exercise can help people feel that they are meeting achievable goals and as they get better at what they are doing they can raise their self-esteem. They will feel more coordinated, in better shape and more confident about their commitment to their health. Even though exercise can be great for recovery, it is more effective when it is incorporated as part of a larger recovery plan. A person’s entire well-being includes their emotional and mental health, their physical health and a fulfilling spiritual life. Exercise can boost emotional and physical health but it must be an element in a bigger picture of holistic recovery. People in addiction recovery need to have a balance of different treatment approaches that can make exercise more effective. If they are attending regular psychotherapy, eating healthier and working on a spiritual practice then they may be more inclined to exercise. Someone who is neglecting their health in other ways may not feel motivated or find it hard to maintain a good exercise routine. In the same way exercising can give people the confidence to focus on other aspects of their health so that they are more balanced. If they are working out regularly they may feel more motivated to eat healthy foods, meditate or focus on positive mental wellness. Every aspect of their health can benefit from including exercise into their life. Most recovery programs help patients get involved in exercise and find different activities that they enjoy and are likely to continue after they leave treatment. Being committed to good health makes it easier to prevent relapse and maintain sobriety long-term. When people neglect certain elements of their healthy routine they might feel triggered to use drugs again. If you are exploring treatment options for a drug or alcohol addiction, contact a treatment center that incorporates healthy lifestyle choices and exercise into their program.